Normally refers to a body firing problem where vessels warp out-of-shape during firing. Warping is often exhibited on tops of vessels that have pulled out-of-round or overhung bowls that have sagged. Any clay that is being fired to a vitreous condition is subject to warping (especially for pieces having unstable profiles). Clays soften as they approach the melting point during firing, porcelains are the most susceptible. Thus for vitreous bodies a balancing act must be done, firing as high as possible to get the most dense and strongest possible body while using ware shapes and wall thicknesses that are resistant to warping. 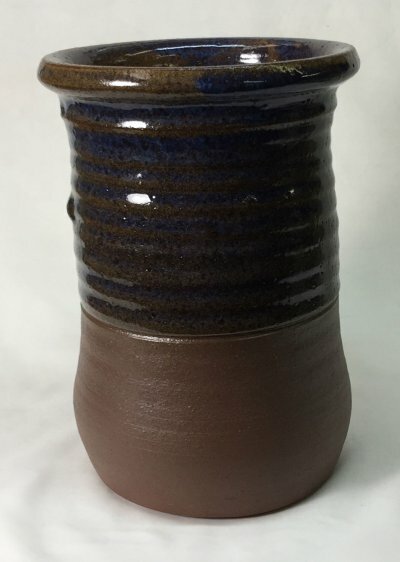 When using a body or process subject to this problem it is important to have kilns that can fire consistently and have a body having consistent fired properties. 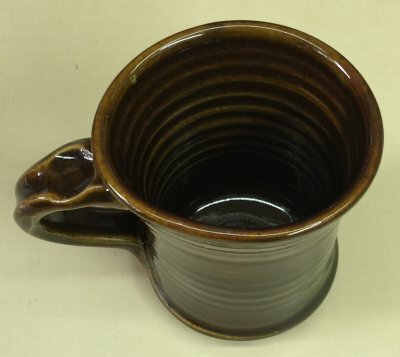 Even earthenware, although not fired anywhere near vitrification, can warp if ware is extremely overhung or ware is very thin. 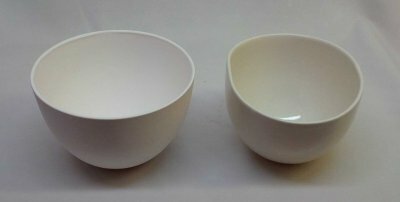 In industry, highly vitreous ware (e.g. bone china) is fired in setters that hold its shape during firing (the glaze firing is done later at a much lower temperature). 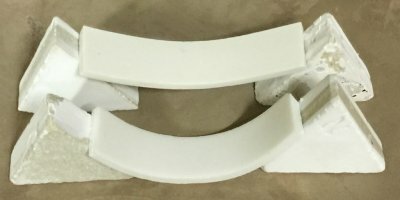 What are the two key causes of firing warpage in porcelain? 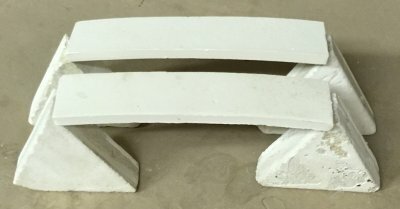 Here is an example of how a profile having no inherent strength can warp during firing (the one on the left is just bisque fired, the one on the right is fired beyond zero porosity to achieve translucency). Two key factors contribute to this failure: This porcelain is highly vitreous. This shape is vulnerable to warping. If the lip were flared out, for example, it would have much more strength to stay round. If the porcelain was less vitreous it would warp less. Of the two factors, which contributes more to the warping for this specific piece? The shape. 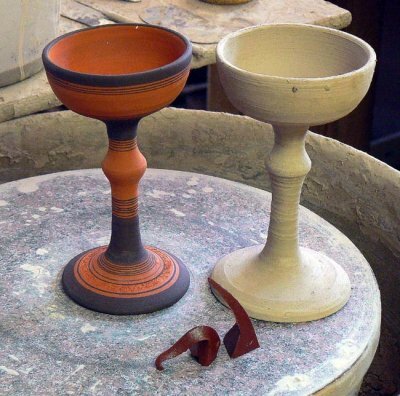 The goblet on the left is bending, not just because the clay is somewhat unstable at the temperature being fired, but because this shape is also inherently unstable. Where extreme shapes are prone to warping, ware must be made from clays that do not vitrify (that introduces issues of strength and functionality). In this case, the clay recipe is based on a terra cotta material that matures at a very low temperature. The problem was dealt with by employing a recipe of 60:40 clay:200# kyanite. When porcelains mature in the kiln they progress toward vitrification, getting softer. This simple test enables anyone to quantify the degree to which a porcelain is likely to warp. Bars of plastic clay almost never dry straight, so the measurement (in mm) to which they deviate from straight is recorded and the bar is mounted with the hump upwards. After firing the mm of firing deviation-from-straight are added to the dry value to derive a total pyro-plastic deformation measurement. This can be recorded as an absolute value for comparison with other clays or temperatures. How much porcelain flux is too much? 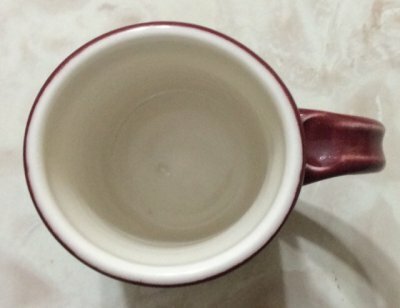 A porcelain mug has pulled slightly oval because of the weight of the handle. This happens in highly vitrified porcelains (e.g. translucent ones). The amount of feldspar or frit in the body determines the degree of maturity, the correct percentage is a balance between enough to get the maximum translucency and hardness but not so much that ware is deforming excessively during firing. This is Plainsman Polar Ice at cone 6, this degree of warp is acceptable and can be compensated for. Overfired Polar Ice porcelain. 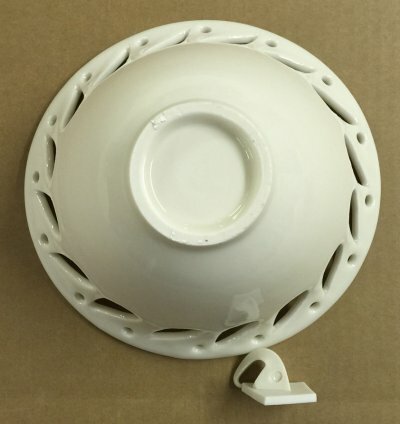 This bowl fired with an oval-shaped rim and was sticking to the shelf. It may not melt, but will certainly warp and blister/bloat. If there is inadequate kiln wash it will stick to the kiln shelf. This is a low fire talc body. Many such bodies can survive to cone 6 and even higher, but not this one. 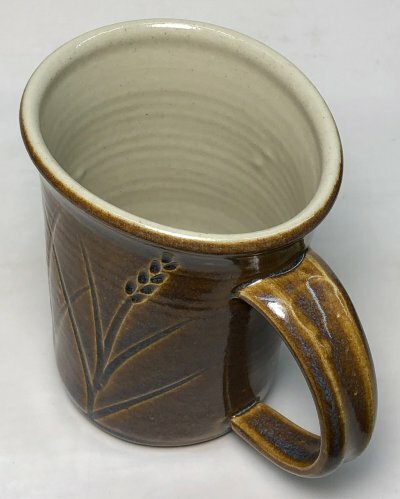 The weight of the handle has pulled the lip completely oval.